Properties in Saint James City average 4.6 out of 5 stars. NO SNOW!!!!! 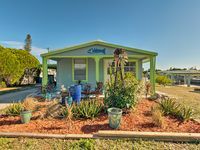 Waterfront Rental St. James City, Fl. Property 2: NO SNOW!!!!! Waterfront Rental St. James City, Fl. Property 3: Fishing, boating & kayaking paradise! I have 2 kayaks in garage NEW Boat Lift! RELAX this spring in SW Florida! Peace & tranquility awaits! 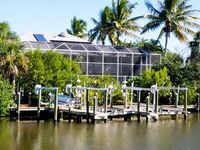 Property 4: RELAX this spring in SW Florida! Peace & tranquility awaits! Property 8: NEW HEATED, SALTWATER POOL FOR SEASON! Pet friendly well located updated home with dock/lift on 8th Ave. Spacious lot. Property 11: Pet friendly well located updated home with dock/lift on 8th Ave. Spacious lot. Property 17: Waterfront Saint James City House w/ Pool & Dock! Property 22: NEW! Waterfront Pine Island Condo w/ Pool & Dock! Property 25: Pet Friendly, Waterfront with Quick Access To World Class Fishing and Boating. Property 27: Pine Island Private Two Bedroom Getaway with Dock! Fisherman's Delight with heated swimming pool & new boat lift with two Kayak! Property 28: Fisherman's Delight with heated swimming pool & new boat lift with two Kayak! Property 37: ISLAND LIVING, BOATER'S PARADISE, AND MODERN LUXERY ! Property 40: Immaculate Waterfront Home With Heated Pool And Spa. Pet Friendly. Property 41: Gorgeous 2BR/2Bath Pool house on Pine Island! The Vacation you deserve starts here. Fully fenced,dock, lift and kayak launch. Property 46: The Vacation you deserve starts here. Fully fenced,dock, lift and kayak launch. Property 48: NEW! St. James City Home on a Canal w/Deck & Dock! Property 50: Cozy Waterfront Home With Heated Pool. We had such an enjoyable and relaxing week. The house was amazing, very comfortable and very clean. We have stayed in at least 15 different vrbo rentals all over the US and a few in the UK and Europe and I do believe that this was the first time that I wasn't missing my bed and my shower - both we awesome! The kitchen was well stocked, had no problem finding pots/pans that fit the need. We enjoyed our morning coffee on the deck every morning before fishing. We enjoyed cooling off in the pool every afternoon after fishing. We literally fished every day. The boat lift made it so easy and the ride through the canal to the open water was pleasant. Hubby grumbled a bit b/c it was about a 15 min transit but I generally took the wheel and he used the time to make sure our gear was ready. Sooooo many areas to fish in, we caught Snook, Redfish, Mangrove Snapper, Sheephead and Trout. We would love to spend more time in the area and would definitely enjoy renting this house again. This little gem was perfect for our family's first time in Florida. The inside is perfectly decorated and everything was well stocked and clean. Plenty of room for our family of five. The backyard has great patio furniture that sits next to a canal that is beaming with wildlife. Jesse was very friendly and helped when needed. The only downside is the location. Pine Island has NO beaches! We had to drive 45 minutes to an hour to get to the beaches. On the upside, the island has plenty of little shops and resturants and after spending a busy day at the beach it was nice to just relax away from the hustle and bustle.